• In 1965, the Civic Arena would surrender the “world’s biggest dome” crown to Houston’s Astrodome – which measured 293 feet in diameter more than the Igloo. • Before the start of the 1974-75 season the ice surface at the Civic Arena was reduced from 205 feet to 200 feet. • On August 25, 1994 the Civic Arena roof opened to the Space Odessy theme song while the Phantoms played the Minnesota Arctic Blast. It was the first time the stainless steel dome was opened for a professional hockey game. • The construction of E-Level balconies in 1975 increased the capacity of the venue by 3,000 seats. • 1993 renovation projects, including the addition of the F-level balconies, new luxury skyboxes and several privately catered club seats, added 1,000 new seats. • A new scoreboard with video screens was added in 1995, spoiling the ability to open the roof. • Andrew Lloyd Webber’s Jesus Christ Superstar sold more than 2 million copies in 12 months and became 1971’s number-one-selling album. In July of that year, 13,000 Superstar fans packed the Civic Arena to see the opera performed in concert. That performance was just the runner-up to a full-blown Broadway production that opened on Broadway on October 12, 1971. • Elvis Presley performed on June 25, 1973 and later on December 31, 1976. • The Fish That Saved Pittsburgh was filmed at the arena in 1979. • The arena was featured in the 1995 film, Sudden Death, starring Jean Claude Van Damme. • The Dreamworks SKG studio crew filmed She’s Out of My League in the arena in April 2008. Edgar, we’re going to have a moveable roof! The Pittsburgh’s Civic Light Opera first debuted – a performance of Victor Herbert’s Naughty Marietta – in December 1946 at Pitt Stadium, six blocks from the Duquesne Gardens. Frustrated with rain cancellations the CLO would seek a venue of its own. On December 1, 1946 department store magnate Edgar Kaufmann and city councilman Abe Wolk declared the the city would need a new amphitheater with a ‘removable’ roof – two years before the CLO formed. Four years later on February 4, 1949, Kaufmann and the city each pledged $500,000 for construction, and the search for a site began. In February 1950, Kaufmann revealed plans for a 10,500-seat “umbrella amphitheater,” drawn by architects James A. Mitchell and Dahlen K. Ritchey. The design included two, motorized “bat-like” wings for a roof. The wings were to be made out of fabric-coated plastic attached to a cantilevered, steel arm. Kaufmann pledged an additional $500,000. Schenley Park was origianlly considered, but an Allegehny County judge upheld legal opposition to that site. Pittsburgh’s rebirth, directed by Mayor David L. Lawrence, came in the form of Renaissance I. Lawrence spear-headed a plan to give the CLO and Pittsburgh Hornets a new facility and to give Pittsburghers a multi-purpose facility. Lawrence briefly pitched a plan to to put the arena at the city’s Point, possibly in the area where the old Winter Garden was located. The result was the Civic Auditorium – later named the Civic Arena. It was nicknamed “The Igloo” by the locals. In 1951, the Urban Redevelopment Authority’s revealed a plan to re-develop a tract of land in Pittsburgh’s Lower Hill District. The area was supposed to include a multipurpose arena, a 935-family apartment complex, a motel, a parking garage and an art museum. The City of Pittsburgh and Allegheny County formed the Public Auditorium Authority in March 1953 to assist in land purchases and the construction planning. In September 1955, the federal government approved the redevelopment plan, making available $17.4 million in loans and grants. The Hockey News reported in the February 4, 1956, edition that it could be possible for the Pittsburgh Hornets to resume play in 1958. The demolition of 1,300 structures began on May 31, 1956 to clear 95 acres for the new facility. The Duquesne Gardens, home of the Hornets, sat three miles to the east of the new arena site and saw the wrecking ball three months later. Construction of the Civic Arena began on April 25, 1958. Originally budgeted to cost $19 million, it would take 40 months to construct. A change in the plans to make the roof retractable drove the price tag to $21.7 million. A temporary home for the CLO, the tangerine green Melody Tent, was used first on June 15, 1959 for “The Most Happy Fella,” and last used for “Destry Rides Again,” on August 26, 1961. Designer Harold Helvenston, shows off the lifting stage area inside a model of the Civic Auditorium on April 16, 1959 while the arena was under constuction. The world’s biggest dome, and it moves! The arena’s signature retractable stainless steel dome – 417 feet in diameter and 109 feet tall- was constructed with eight 300-ton roof sections. Six of the sections were mobilized by five motors in each panel. The roof could be retracted to open the dome in two minutes. The architectural marvel – a dome without interior supports – was possible because of a 260-foot cantilever arm that supported the six moveable sections of roof. There were conditional restrictions for opening the roof at 300 Auditorium Place: Â The roof couldn’t be opened if there was a greater than 60-percent chance of rain, or if wind was blowing more than 7 mph. The arena’s lighting fixtures had to be winched back into the ceiling before any of the sections could move. Pittsburgh Mayor Joseph M. Barr and Hornets owner John Harris (founder of the Ice Capades) made the skating show the feature act of the Civic Arena’s grand opening on September 17, 1961. The roof did open – two leafs opened – for the Ice Capades, but fears the 205×85 feet ice would melt under the 74-degree fall day forced the dome closed after 22 minutes. The Pittsburgh Hornets emerged from five years of inactivity when they played their first game at the arena, a 2-1 loss to the Buffalo Bisons, on October 14, 1961, in front of 9,317 fans. The first Hornets’ goal at the Civic Arena was scored by Paul Jackson – his only goal of the season. The 1961-62 Hornets set many AHL records in that season: Â Most times shut out in a season (9); most games lost in a season (58) and most games lost at home (27). In February 1967, the Igloo would inspire the name of the Pittsburgh Penguins who were granted an NHL expansion team to replace the AHL Hornets, who played their last game in the arena on April 30, 1967, when they beat Buffalo in the Calder Cup Final. Â Pittsburgh finished the sweep of two-time defending champion Rochester Americans in the Calder Cup Finals after Billy Harris scored :26 seconds into overtime in what would be the last goal in Pittsburgh Hornets’ history. It remains as the only time a professional hockey championship was won inside the city of Pittsburgh. 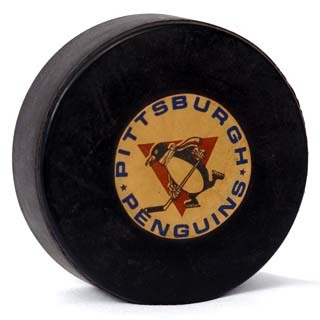 The Penguins played their first game at the Civic Arena when they lost to the Montreal Canadiens, 2-1, on October 11, 1967. The arena’s capacity was 12,580 and the most expensive seat was $5. Andy Bathgate scored the Penguins’ first goal in that game – the first NHL goal in Pittsburgh in more than 37 years. On May 4, 1968 the Pittsburgh Pipers won the first ABA championship after defeating the New Orleans Buccaneers 122-113. The Pipers had the league’s best record during the regular season (54-24, .692). The Pipers played one more year at the arena and then played two seasons as the Pittsburgh Condors, before folding in 1972. The last CLO show at the Civic Arena was How Now, Dow Jones on July 26, 1969. The CLO moved to Heinz Hall, leaving the Pittsburgh Penguins as the anchor tenant of the arena. • The 1990 NHL All-Star Game was played in the arena on January 21, 1990. Hometown captain, Mario Lemieux, scored four goals and was named the game’s MVP. • First Stanley Cup Finals game was played on May 15, 1991 – a 5-4 loss to the Minnesota North Stars. • The address of 300 Auditorium Place was renamed “66 Mario Lemieux Place” on May 13, 1997. • Â In 1999, Pittsburgh-based Mellon Bank purchased the naming rights to the building and renamed it Mellon Arena. • Letter Of Application to The Bureau of Historic Preservation was filed on July 6, 2001. Boom, Boom…OUT GO THE LIGHTS! Two separate power outages put Mellon Arena in the dark during the Penguins’ game with the Toronto Maple Leafs on March 19, 2006. Emergency crews were called to the Igloo after an electrical fire was reported in the area around Gate 2. The arena’s emergency lighting system came on and the hockey came to a halt. Play resumed a short time later. The Pittsburgh Tribune-Review reported that fans chanted “New Arena…New Arena” during the first delay. When partial power was restored, but before play resumed, the JumboTron showed a promotional clip for the Isle of Capri’s plan to build a $290 million arena – at no cost to taxpayers – if the casino is awarded the city’s sole slots parlor licence. On June 20, 2008, Bank of New York Mellon Corp. agreed to extend its naming rights deal to Mellon Arena by one year. Â The extension was necessary because a 10-year naming rights deal between the hockey team and former Mellon Financial Corp. expired after the 2008-09 season. Â The initial 10-year deal was worth about $1.8 million annually. Democratic Presidential nominee, Senator Barack Obama adressed a crowd of 15,000 at the Mellon Arena on Monday, October 27, 2008. Eight days later Obama was elected the 44th president of the United States. The Montreal Canadiens defeated the Penguins in Game 7 of the Conference semi-final, 5-2, on May 12, 2010 and Jordan Staal scored the last goal for Pittsburgh in the old igloo. James Taylor and Carol King performed on July 26, 2010 for the last paid event at the arena, “You Can Close Your Eyes” was the last song performed under the dome. The building name changed back to the “Civic Arena” when Mellon’s naming rights agreement ended on August 1, 2010. The Penguins’ played their first regular season game in the new $321-million CONSOL Energy Center on October 7, 2010.